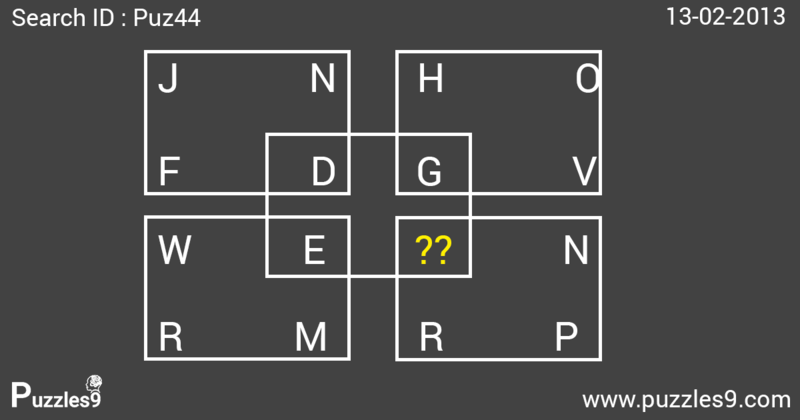 which letter replaces question mark and completes the puzzle? In each square, the outer letters advance the same number of spaces indicated by the numerical value of the center letter. in first box, D is 4 and difference between all outer layer letters are same.